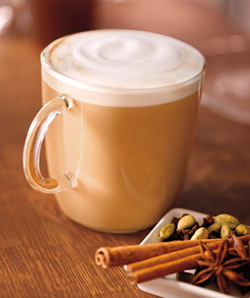 Chai tea is a popular hot beverage which is traditionally black tea blended with spices, milk, and sugar. 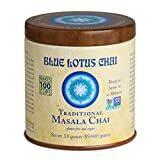 This type of tea originates in India and is also called Masala chai. The caffeine amount listed above reflects the average amount one would expect from a cup of chai tea. 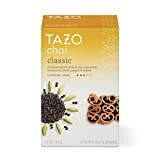 There are many different types of chai tea and some are even caffeine-free, but traditionally chai tea has black tea as its base ingredient so most will contain some level of caffeine. 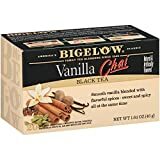 Black Tea, Indian spices including Cinnamon, Clove, Cardamon, Anise and Ginger and more depending on variety and blend. Sugar content: 22 grams (per 8 ounces). How Does Chai Tea Compare? Chai Tea contains 6.25 mgs of caffeine per fluid ounce (21.13mg/100 ml).